Lotus Rises From the Water – an empowering movement that releases stagnant Qi from all the joints, stretches the muscles, energizes the internal organs and brings in revitalized Qi for the whole body…a favorite amongst practitioners. 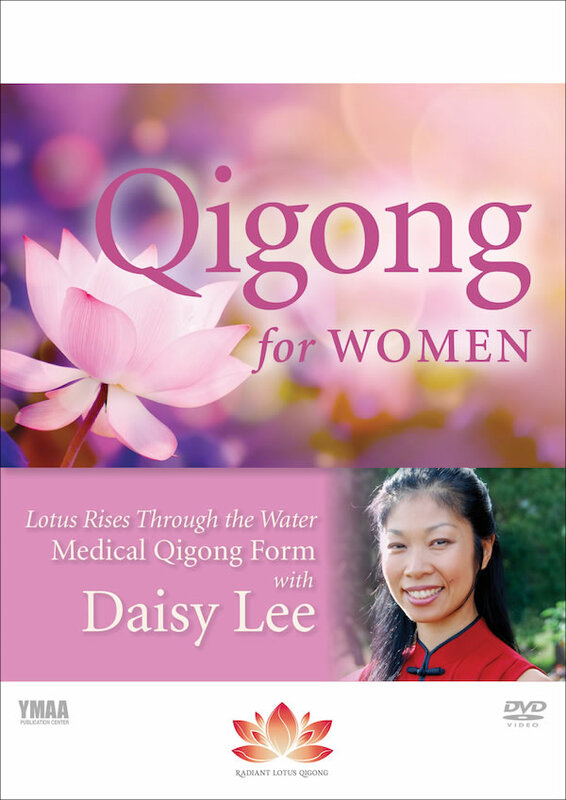 The Lotus Rises is the women's qigong long form that is the third in a set from international Qigong teacher Daisy Lee's best-selling Radiant Lotus Women's Qigong series. The Lotus Rises form comprises an essential component of the Radiant Lotus Women's Qigong, Level II Instructor certification for women, and was created by Daisy after years of study with qigong masters in China, Tibet and the West who specialized in women’s health. Learn it to optimize your self-healing potential and take your health to the next level.